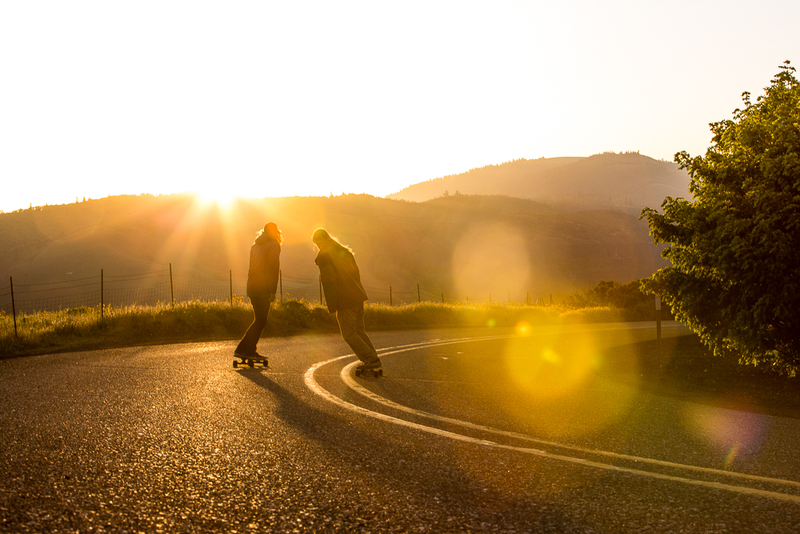 Hood River, OR – August 27th, 2014 – Moonshine MFG was born on our factory floor by a group of passionate skateboarders who believed it was possible to use NEW technology to build a better deck. The Moonshine factory was founded in 2010 and was building Slingshot Kiteboards, Slingshot Wakeboards and Remote Wakeskates. 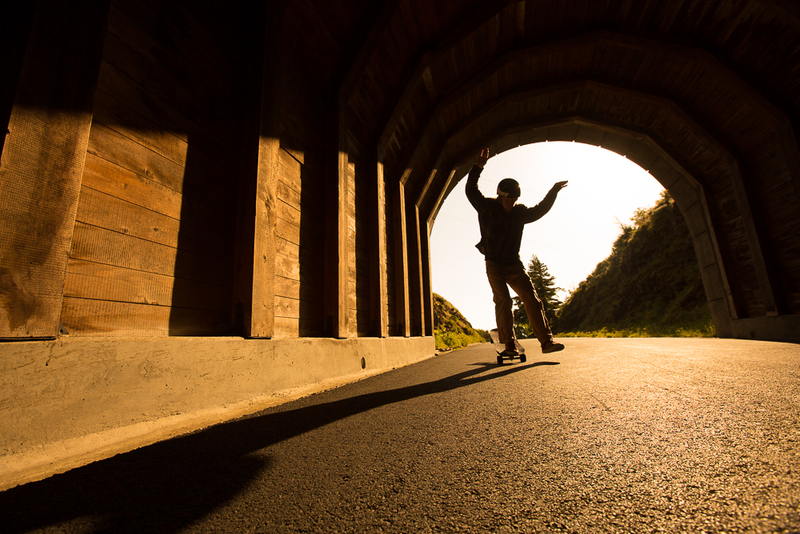 The employee’s building these boards knew it was possible to use the materials, machinery and process to build a revolutionary longboard skateboarding deck. Moonlighting on their own time, these skateboarders designed, developed and provided a final working prototype to the Moonshine Operations Manager. 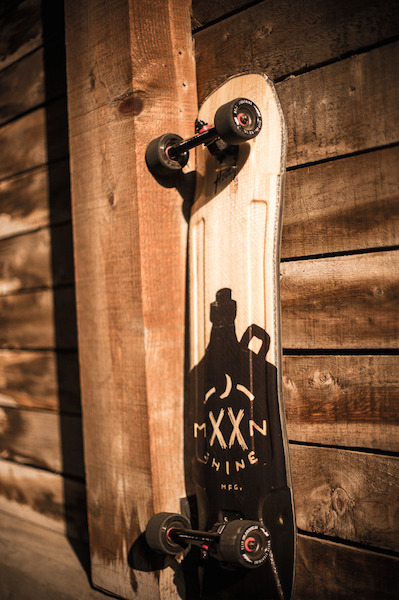 These prototypes were given to some top riders for testing and the feedback was extremely positive….. Moonshine MFG the Skate brand was born. The factory was renamed The Distillery. 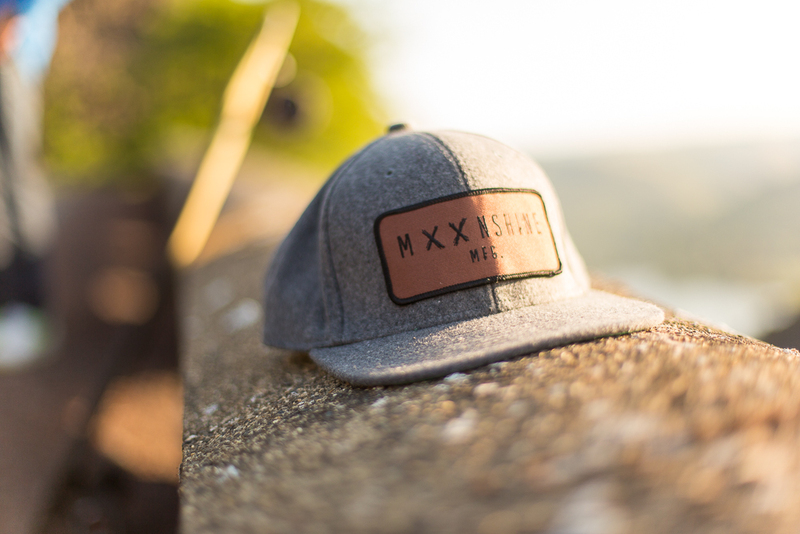 In the spring of 2014 the decision was made that our skateboarders would have their own brand (Moonshine MFG) to develop and grow. Increased investment in the design team and production line capacity was given to the skateboarders in the factory to support their vision. The Factory name has changed to ‘The Distillery’ which proudly produces: Slingshot Kiteboards, Slingshot Wakeboards, Remote Wakeskates and Moonshine MFG Skateboards. The Distillery is based in Skamania, WA (USA) and operates under the guiding principal of ‘continual improvement’. The Distillery team is always looking for the highest quality RAW materials, improvements to the manufacturing process and NEW technologies for a better riding experience. 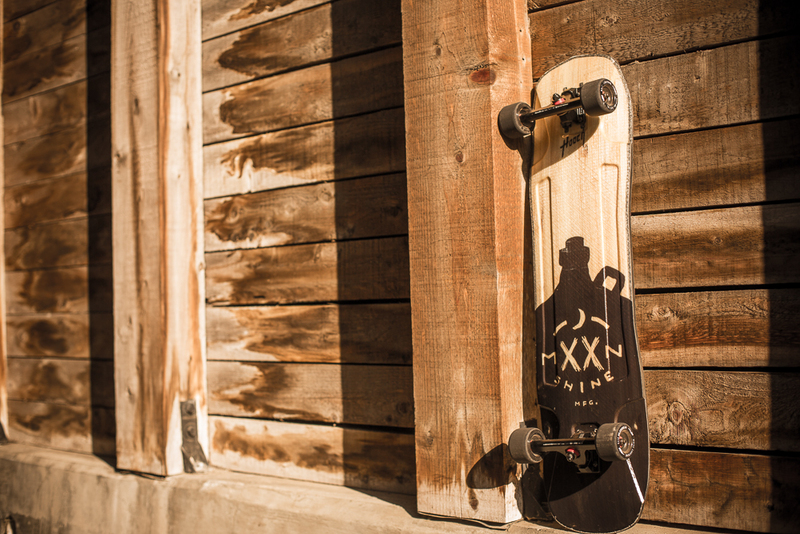 Moonshine MFG - The new skate brand will launch September 4th at Surf Expo – check us out at Booth # 253. The product line will include the Rum Runner, Hooch, County Line and the Firewater. In addition to a full line of boards we will also introduce White Lightning Wheels. Formulated in house and manufactured in the USA. 70mm, Grip and Slip are now available with more to come soon. 7 Nation owns and operates its own factory, and leading brand management companies that weave together commerce, cause, culture and community with a great group of people. 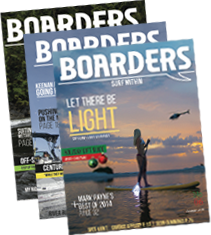 Slingshot Kiteboarding, Slingshot Wakeboarding, Slingshot SUP, Remote Wakeskates, The Distillery and Moonshine MFG.